William Wickner, MD, a professor of biochemistry and cell biology at Dartmouth’s Geisel School of Medicine, recently received the William C. Rose Award at the American Society for Biochemistry and Molecular Biology (ASBMB) annual meeting in Chicago. 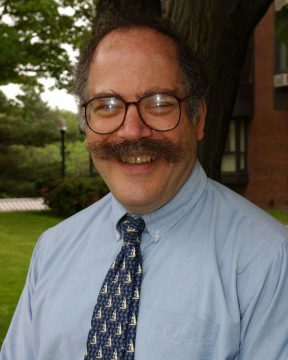 Named after a former president of the American Society of Biological Chemists—the predecessor organization to ASBMB—and established more than 30 years ago, the Rose award recognizes outstanding contributions to biochemical and molecular biological research and a demonstrated commitment to the training of younger scientists. Throughout a highly impactful career that has spanned more than 40 years, Wickner has authored over 200 publications and mentored an impressive list of successful scientists—including 46 postdoctoral fellows, 17 graduate students, and 13 technicians. Wickner has earned a number of prestigious awards and accolades for his accomplishments and contributions to the field of cell biology. These include: being elected to the National Academy of Sciences (1996) and European Molecular Biology Organization, as well as receiving an American Cancer Society Faculty Research Award, a Guggenheim Fellowship, and a National Institutes of Health Merit Award. He is also a member of the American Academy of Arts and Sciences.